Verwer, J.G. (1980). 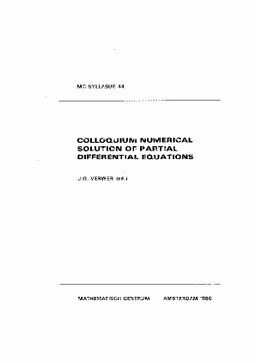 Colloquium numerical solution of partial differential equations : [held in 1980, Delft, Nijmegen and Amsterdam]. MC Syllabus. Stichting Mathematisch Centrum.